(Al Hartmann | The Salt Lake Tribune) Brian Jessop, head of Paragon Contractors and a Hildale city council member, walks to federal court for trial in Salt Lake City, Tuesday, Feb. 27 2018. Paragon Contractors is accused of using FLDS child labor under the corporate name of Par 2. Brian Jessop was supposed to tell a special master about all his employment and what he was doing at each job, according to an order a federal judge issued in the spring of 2017. 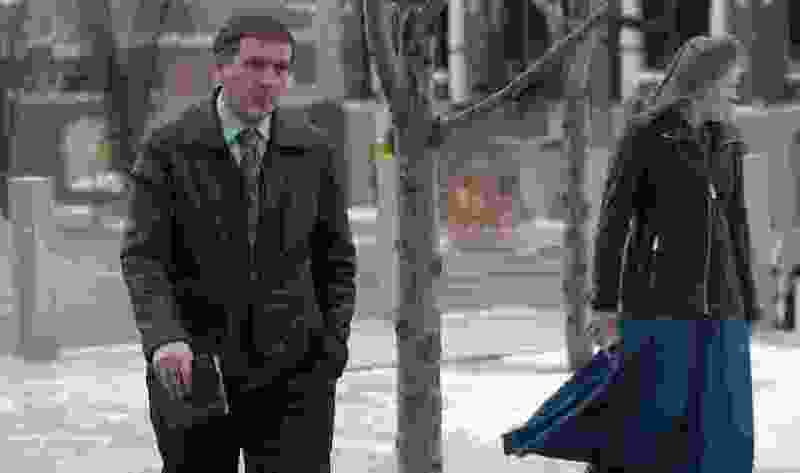 But on Tuesday, Jessop testified in federal court about a series of construction projects for which he submitted bids, consulted on or visited. He never told the special master about them. “You don’t consider that employment?” asked U.S. Department of Labor attorney Karen Bobela. Jessop contends he was only helping his brother. The Labor Department argues that Jessop, his old company, Paragon Contractor’s Corp, and his brother’s company, Par 2 Contractors, are in violation of orders to stop using child labor and to report to the special master. The Labor Department is asking that Jessop and the companies be held in contempt of court. Testimony concluded Tuesday — two days earlier than expected. U.S. District Court Judge David Nuffer is expected to rule on whether Jessop and the companies are in contempt in the coming weeks. Jessop and the two companies all have connections to the polygamous Fundamentalist Church of Jesus Christ of Latter-Day Saints. Jessop is a city councilman in Hildale, Utah. It and adjoining Colorado City, Ariz., are the traditional home of the FLDS. 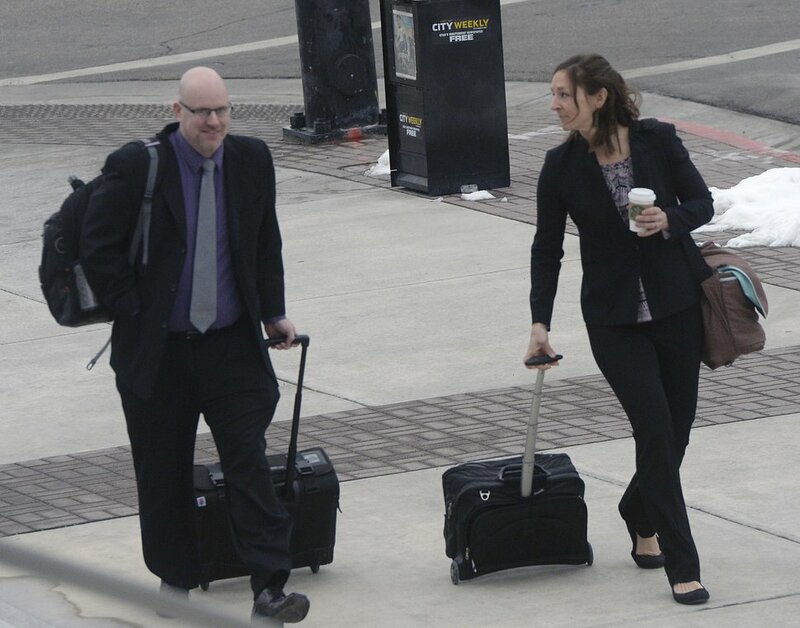 (Al Hartmann | The Salt Lake Tribune) Kevin Hunt, U.S. Department of Labor, Wage and Hour Division, left, and Karen Bobela, attorney for U.S. Department of Labor, walk to federal court in Salt Lake City, Tuesday, Feb. 27 2018. Paragon Contractors is accused of using FLDS child labor under the corporate name of Par 2. Under questioning, Jessop acknowledged preparing bids and speaking to contractors on behalf of Par 2 for commercial construction jobs from Arizona to Idaho. He also acknowledged visiting Par 2 sites in Cedar City, Utah, where the company was a subcontractor on an apartment complex, and Rexburg, Idaho, where it was helping construct student housing. Rexburg is the home of Brigham Young University-Idaho. Par 2 typically erected wooden or steel frames on the jobs just as Paragon has done on many jobs. The Labor Department contends Par 2 is actually the successor to Paragon and thus should be subject to the same orders placed on Paragon. Paragon has not had any new contracts since at least the spring of 2017, Jessop testified. Bobela asked Jessop about a number of employees or officers who worked for both companies. Jessop contended that those personnel left Paragon years earlier, but that he was helping Par 2 as a consultant and mentor to his brother and the employees at the job sites. “I’m pretty close to most all of the guys that work on all these construction sites,” Jessop testified. “Isn’t that because the people who work for Par 2 worked for Paragon not too long ago?” Bobela asked. Jessop testified that the hours he spends helping Par 2 fluctuates, but it may be about 20 hours a month. His real job is driving for a trucking company and helping clean and maintain equipment. The trucking company, Desert Storm Transportation, pays him a salary of $2,500 a month, he testified. Last April, a judge ordered Jessop to pay a $200,000 fine for using child labor at a pecan harvest in Hurricane where Paragon was the contractor. 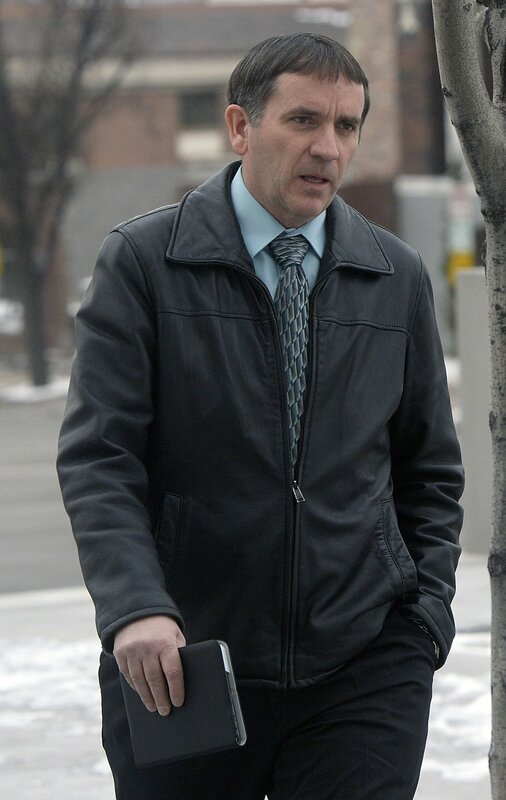 In court Tuesday, Jessop acknowledged having paid $162,000 so far. He said that money came from family and friends. (Al Hartmann | The Salt Lake Tribune) Brian Jessop, head of Paragon Contractors and a Hildale city council member, walks to federal court for trial in Salt Lake City, Tuesday, Feb. 27, 2018. Paragon Contractors is accused of using FLDS child labor under the corporate name of Par 2. Jessop testified he didn’t have access to emails he sent from an account controlled by Par 2, nor did he know whether Par 2 was using some of Paragon’s tools. Bobela showed Jessop emails, apparently obtained from the contractors, that Jessop had sent. Later Tuesday, a Par 2 employee, Jacob Barlow Jr., testified that Par 2 took tools and equipment from Paragon when Par 2 was forming. Jessop also testified he introduced a daughter to construction contractors. She was starting a business that cleans up construction sites.